The Discovery Files podcast is available through iTunes or you can add the RSS feed to your podcast receiver. You can also access the series via AudioNow® by calling 641-552-8180 on any telephone. A team of scientists analyzed data from nearly a thousand species of shark, fish, reptiles, mammals and birds and found that marine mammals hold a competitive advantage over sluggish, cold-blooded species in polar regions. However, as the oceans warm, this advantage will shrink, and mammal and bird populations could dwindle, impacting the economy and conservation in important ways. I'm Bob Karson with the Discovery Files, from the National Science Foundation. As a general rule, there are more varieties of land-based life in the tropics and subtropics and less as you head toward polar regions. Notice I said, "land-based life." Marine mammals and birds in polar regions break the cold mold. You'd think life out in the cold would mean fewer warm-blooded marine animals, who have to keep up their body temperature but it's just the "polar" opposite. There are more marine mammal and bird species and more individuals in those more frigid areas. A new, multi-university study looked at why. The team analyzed data from nearly a thousand species of shark, fish, reptiles, mammals and birds. Animals in those regions actually have an easier time preying on cold-blooded species with slower metabolisms. The researchers show the frigid waters make sharks and fish sluggish so sharks are easier to avoid and fish are easier to catch -- giving mammals and birds a competitive advantage that's made them much more abundant and diverse in cold seas. But as oceans warm their advantage will shrink and mammal and bird populations could dwindle with important economic and conservation implications. Some cold, hard findings on a warming planet. 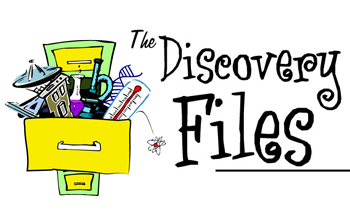 "The discovery files" covers projects funded by the government's National Science Foundation. Federally sponsored research -- brought to you, by you! Learn more at nsf.gov or on our podcast. NSF podcasts are in mp3 format for easy download to desktop and laptops, as well as mobile devices capable of playing them.